Tennis has historically been called the sport for a lifetime. But is this true? According to scientists from a variety of disciplines, tennis is still one of the best sports anyone can choose to play. 2. Tennis players scored higher in vigor, optimism and self-esteem while scoring lower in depression, anger, confusion, anxiety and tension than other athletes or non-athletes, according to Dr. Joan Finn and colleagues in a study done at Southern Connecticut State University. 3. 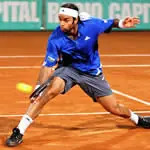 Since tennis requires alertness and tactical thinking, it may generate new connections between nerves in the brain and thus promote a lifetime of continuing development of the brain, reported scientists at the University of Illinois. 4. Tennis outperforms golf, inline skating and most other sports in developing positive personality characteristics, according to Dr. Jim Gavin -- author of The Exercise Habit. 5. Competitive tennis burns more calories than aerobics, inline skating, or cycling, according to studies on caloric expenditures. Is it any wonder that scientists and physicians world-wide view tennis as the most healthful activity to participate in? Other sports may provide excellent health benefits, as well as stimulate mental and emotional growth. But no other sport received such acclaim for its great benefits physically, mentally and emotionally. Sign up for a tennis event. This article was provided for the USTA by Dr. Jack L. Groppel, Ph.d. Find more tennis information at the USTA Player Development Web site, www.playerdevelopment.usta.com.